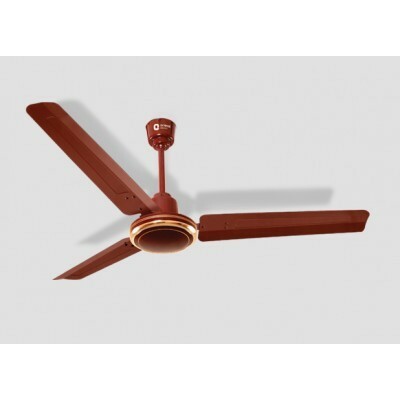 High speed fan with Elegant gold rings and decorative trims. It is perfect for living rooms, hotels and offices. This high speed fan with elegant rings & decorative trims makes life easier. This electric appliance is developed with ground-breaking technologies painstakingly researched by Orient Engineers; to make sure that you get the best, everywhere in your home & offices.